Remember when these protests swept the nation? Energy Transfer Partners CEO Kelcy Warren spoke at an event Monday where he mentioned he’d be announcing an expansion of the 1,172-mile long pipeline soon, according to the Bismarck Tribune. The energy company had tried to gauge interest back in March, and, apparently, the interest is there. Energy Transfer Partners hinted at this expansion last week, too. Since 2017, the pipeline has moved 500,000 barrels of oil a day through four states, from the Bakken Formation in North Dakota to Illinois. A company spokesperson told the Bismarck Tribune the company is considering increasing that amount to 570,000 barrels of oil a day. In North Dakota, at least, the pipeline is permitted to carry up to 600,000 barrels. What’s most confusing, perhaps, is how this expansion will happen when the Army Corps has yet to issue a final court-mandated environmental review for the project. That review was supposed to be completed in April, but the federal agency now expects to complete it later this month. The Standing Rock and Cheyenne River Sioux tribes remain in litigation with the company and the Army Corps of Engineers over the unfinished environmental review. While the Army Corps blames their lack of cooperation for the delay, the court is also keeping the relevant tribes from getting too involved. 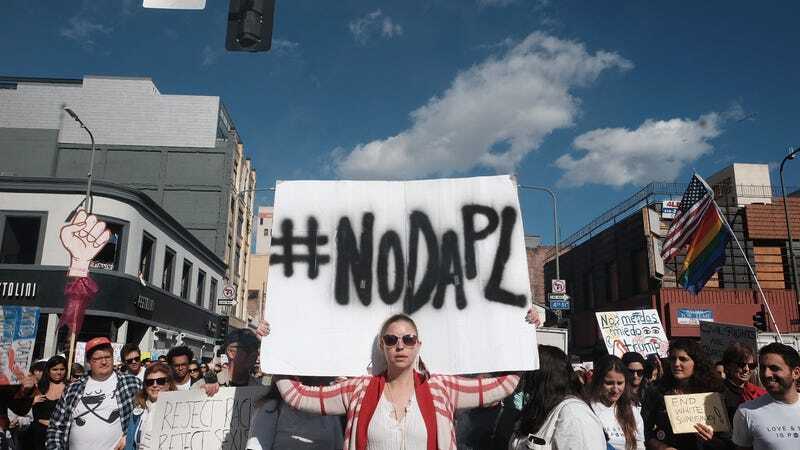 The whole situation is a heated mess with more opponents on the offense down in Louisiana where they’re challenging the company’s Bayou Bridge Pipeline, which would ultimately connect to Dakota Access. This expansion may just exacerbate the already-testy situation.